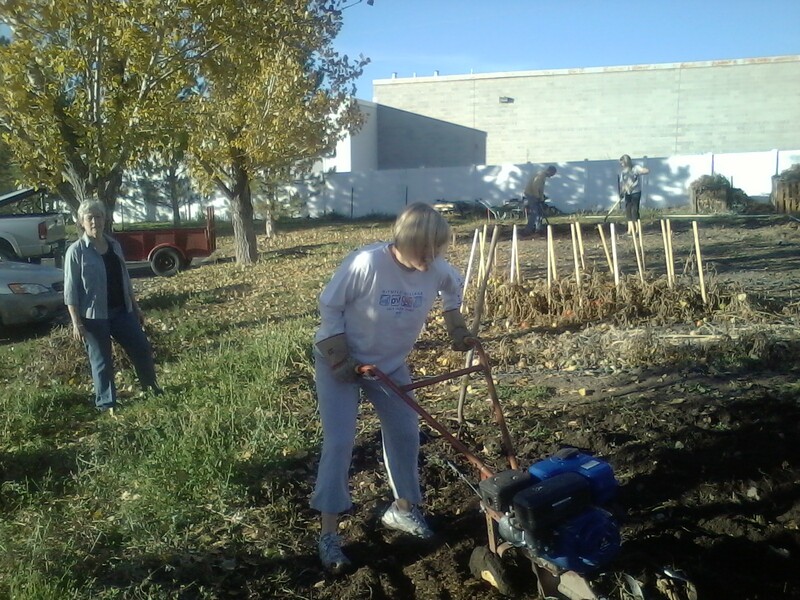 New Utah Gardener: When Should I Turn Or Till My Soil? When Should I Turn Or Till My Soil? Wait until the soil has had a chance to dry out a little before you turn it, till it or dig amendments into it. In Utah, that means sometime in April or early May. So, what if you want to plant something before then? Like peas or lettuce? Plant it anyway and you will have to "top dress" with your amendments. That means you will just put the compost or manure on the surface of the soil around the plants and let the rain and the worms do the rest. *If you work the soil when it is very wet from snow or rain, you will create big clods that will be difficult to break up for the rest of the season. *If you take a handful of soil and squeeze it and water runs out, it is too wet to work. If it is damp like a sponge that has been wrung out, it is ready to be worked. Also, check out the blog post on tilling. This is my friend, Alison, tilling her garden plot in the Fall.